GCC spec vehicle with 6 cylinder engine, other color interior and automatic transmission. 2016 Nissan GT-R grey/silver coupe, black on the inside with all wheel drive and AUX audio in. 20″ wheels. Nissan GT-R with many features, including climate control, bluetooth system, USB. Black with tan interior. White 2015 coupe for AED 315,000. Black interior. It features alarm, 20 inch wheels and air conditioning. Imported spec, blue 6 cylinder coupe with black interior. It has CD player and tuner/radio. 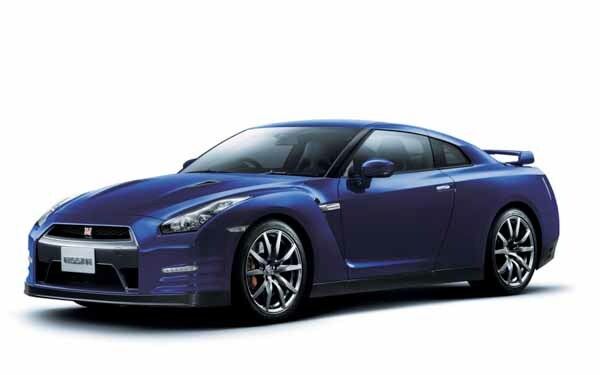 2012 Nissan GT-R, price AED 249,000, blue coupe, black on the inside with airbags (front and side) and air conditioning. 20″ wheels. Blue 2012 coupe. Black interior. It features parking sensor front, 20 inch wheels and all wheel drive. GCC spec 2016 Nissan with ABS, 20″ wheels and Keyless go. Price reduced! Imported spec Nissan GT-R with Parking sensor front, 20″ wheels and Power seats. Price reduced! Omar - My import pre owned Nissan GT-R Alpha - A Edition draws a lot of attention in the UAE especially in Downtown Dubai. The noise it creates and the fact it is so comfortable for a sports car. And the speed of these cars is just insane! 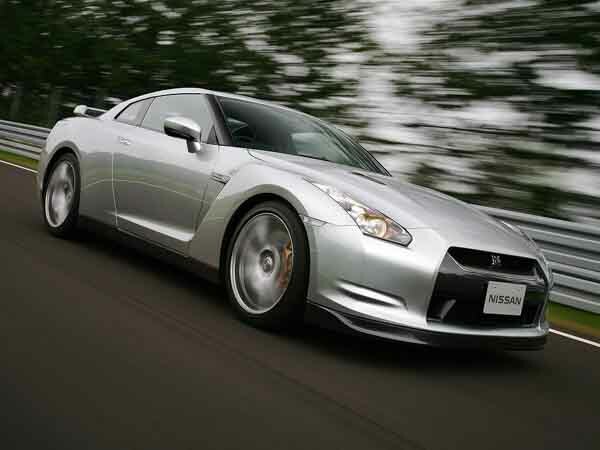 Finding a second hand Nissan GT-R for sale in Dubai, UAE is easy too. Pros: People love it and speed. Cons: Can draw a lot of unwanted attention. John - I bought my used Nissan GT-R Black Edition from a dealer online for a fantastic price I just couldn’t say no. Cornering of the vehicle are off the charts; it looks great, and the power from the engine is incredible. I highly recommend if you're looking for sports cars, you buy one of these ASAP! Cons: Can’t be used every day. Rajitha - When it came to buying a second hand sports cars, I had to decide between the GTR and Porsche. I had to go for the Nissan after experiencing its raw power, size, options and handling. The Porsche has all that, but not the price tag. Pros: Speed, noise and handling. Other drivers are extremely impatient when the lights turn green. The split second they change, someone five cars behind you is already honking. No need to worry about getting away slowly as the AWD system allows you to go from standstill to 100 km/h in 3 seconds! Although it no longer holds the iconic Skyline name, it’s still part of the legend. If you find it lacks power, due to its not so complicated design tuning packages are freely available allowing for up to 1600 horsepower! Buying a used Nissan GT-R for sale in Dubai, UAE will enable you to stand out in any crowd including JBR, Dubai Mall and Downtown Dubai. For sports car capable of removing the skin from your face, it’s surprisingly cosy inside with inviting front bucket seats. Due to its heritage and easy to tune nature, tuners around the world have unleashed tuning kits for the beast with some exceeding 1000 horsepower. The sports car also has a rich history in the racing scene as GT3 spec versions have won around the world! 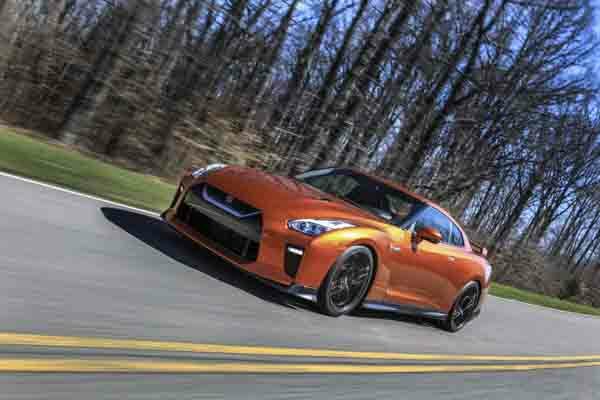 Inside, unlike many sports cars, the Nissan GT-R is well equipped. Cruise control, infotainment system with navigation, media and vehicle setup, multi-function steering wheel, BOSE premium sound system, powered seats and heated seats along with powered accessories were all readily available. On the outside, xenon headlights, keyless entry and 19-inch rims come as standard with 20-inch rims, rear spoiler and reverse camera are optionally available. As with any vehicle a multitude of trims are available. V-Spec, Alpha A, Black Edition, NISMO, N-ATTACK and VVIP are available. All with their own price tags. V-Spec trims feature an exclusive lick of Ultimate Black Opal paint, carbon fibre rear spoiler, front grille and brake ducts. Inside, the seat moulds are also crafted from the lightweight material as is the glove box, instrument panel and other interior pieces. This version is only available in the Japan export market. Black Edition models have 20-inch RAYS rims in each corner along with a carbon fibre spoiler with exclusive red and black leather. NISMO Editions has identical rims to the Black Edition along with a carbon fibre boot with lightweight moulds visible on the front splitter. NISMO added their own aerodynamic changes with red highlights to clearly mark them. Interior wise, black and red material covers the dashboard and seats. Painted in unique shades including matte grey and fitted with a titanium exhaust system helps shed 17 kilos in overall weight. 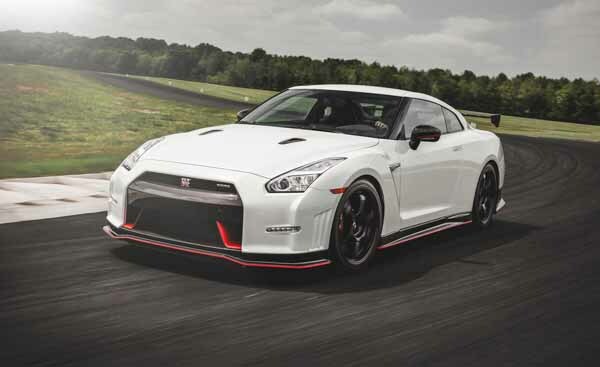 N-ATTACK models are NISMO versions that have been further modified to celebrate the brand's lap time of a particular German Track. In 2011, Godzilla received a facelift that minorly scrunched the front end up which improved cooling for the radiator and front brakes. Moreover, the mechanical parts of the vehicle were enhanced enabling more horsepower to exert from the exhaust pipes. A new rear diffuser is attached to the rear end and inside, quality of the interior is improved. Also, the Japanese brand added new stock features including an upgraded infotainment system, USB ports and iPod connectivity. Over the years, a single V6 3.8-litre twin turbocharged petrol engine powers all four wheels and is usually rated at over 500 horsepower in base trim with no modifications. Controlling all that power is a 6-speed dual clutch transmission capable of propelling the vehicle to a top speed of 320 km/h and from 0-100 km/h in 3.3 seconds in base trim. Higher trim packages pack more of a punch with individual ones matching the mighty Bugatti Veyron dipping below 2.9 seconds. Looking to buy a used Nissan GT-R for sale in Dubai? These models start at AED 160,000 Which is top banana for a second hand sports car! Entering its second generation, Ford Explorer received drastic changes to the interior and exterior. Outside, the vehicle became more refined and rounded. The undercarriage was not left out of the changes as the front suspension was replaced to be similar to cars. Most notably, the front end has been reworked to include the chrome “V” shaped front grille complemented with a new hood and headlight housings. While the rear end looks similar, there are minor touches to create a new look. Inside, the dashboard and centre console becomes with 27 buttons condensed into just 11 for easier use. A larger 8-inch display is implemented in the centre console with upgraded navigation, media options and vehicle settings. Paddle shifters can still be found behind the steering wheel but have moved to an easier to use location. Both the chassis and suspension have been tuned for a smoother ride and increased handling as if the vehicle didn’t already excel in that department. In this generation, five exterior colours are on offer. Recent reports suggest models of the beast will feature autonomous features to aid in traffic scenarios.